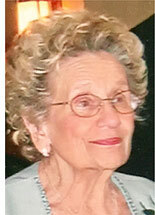 Joan M. Reif, 88, died Wednesday morning in Holy Family Residence where she resided. She was the widow of Edmund Reif and the couple were married for over 49 years. Born in Scranton, she was the daughter of the late Robert W. Sr., and Loretta Lonsdorf Geiger. 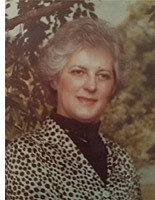 She was a member of St. Mary Of The Assumption Parish until its closure and was a graduate of St. Mary's High School. She was employed as a data processer at Acme Fast Freight and retired from Moses Taylor Hospital. She enjoyed listening to music with her husband and she appreciated her friends and caregivers at Holy Family Residence. She was a loving mother, grandmother and great grandmother who adored her grandchildren. Surviving are two daughters; Mary Lynn Lucas and husband Robert and Paulanne Kraus and husband Charles, all of Scranton, three grandchildren: Maegen Taylor, Mackenzie Lucas, and Robert J. Lucas, USAF., two great grandsons Evan Brink and Robert James Lucas, and a great granddaughter Lennox Rose Lucas, a sister Mary Grace Carpenter, CA., and nieces and nephews. She was also preceded in death by two brothers; Robert W. Geiger, Jr., and Jack Geiger. A Blessing Service will be conducted Friday at 12:30 PM by Rev. E. Francis Kelly in the August J. Haas Funeral Home, Inc., 202 Pittston Ave. Interment private in St. Mary Of The Assumption Cemetery. Friends may call at the Funeral Home Friday from 11 AM to 12:30 PM. In lieu of flowers, memorial contributions may be made to Little Sisters Of The Poor, 2500 Adams Ave., 18509. 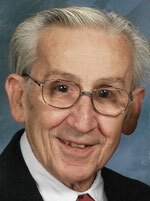 Robert L. Schrank, 82, a resident of Moosic, died Friday evening in Abington Manor. His wife of 54 years is the former Barbara Edmunds. Born in Scranton, he was the son of the late Wallace and Mabel Smallridge Schrank. He was a member of St. John's Lutheran Church, Wilkes-Barre, and he was a graduate of West Scranton High School, class of 1954. He was a retired employee of Gerber Technology and he was a US Navy veteran of the Korean Conflict. He was a member of the Greenwood Hose Company #1, where he was a past president and former Fireman Of The Year. He was formerly a part time Moosic policeman. He was a member of the American Legion Moosic Post #0604. Bob was a pilot and enjoyed flying Cessna planes, he was a lifetime member of the NRA and he enjoyed hunting, fishing, golfing, and in his younger years he played softball in the Sloan League. Bob loved Christmas, decorating the house and setting up his trains. He and his wife enjoyed spending their winters in Florida. Bob was a loving husband and was the love of Barbara's life, he will be deeply missed. The family wishes to thank Dr. Michael Kondash and Abington Manor staff for all the compassion and care given to Bob, and thank Traditional Home health and Hospice for comforting Bob in his last hours. Also surviving are a brother-in-law Carl Helcoski, Scranton, a sister-in-law Beverly Kuprionas and two nephews; Michael Stavish and wife Victoria, and Mark Stavish and wife Andrea, grand nephews and great grand nephews. He was also preceded in death by his sister Nancy Helcoski. A Blessing Service will be conducted Thursday evening at 6 PM in the August J. Haas Funeral Home, Inc., 202 Pittston Ave, Scranton, with Martin Everhart, officiating. Friends may call Thursday from 3 to 6 PM at the funeral home. Interment private in Forest Hills Cemetery. In lieu of flowers, memorial contributions may be made to the Greenwood Hose Company #1, 3727-41 Birney Ave., Moosic, Pa. 18507. John W. Wilson lll, 74, a South Scranton resident died Sunday evening at home after being stricken ill. His wife of 50 years is the former Carol Geiger. Born in Philadelphia, he was the son of the late John W., Jr., and Mary Lennox Wilson. He was a member of St. Peter's Cathedral and was a graduate of Power Memorial Academy, NYC, and attended Bronx Community College. He was employed locally for 30 years as a car salesman, retiring from Kelly Masda. He was a Vietnam Veteran of the US Airforce. John was a loving husband, father and grandfather. His grandchildren were his life, every Friday was "Grampaâ€™s Day". Also surviving are his son, John R. Wilson, Sr. and wife Jennifer, Olyphant, his grandchildren; Katey, John, Jr., and Kelly Wilson, his sisters-in-law; Barbara Clewell and husband Tom, and Mari Garvey and husband Michael, nieces and nephews and great nieces and great nephews, and close cousins. A Mass Of Christian Burial will be celebrated Friday at 9:30 AM in St. Peter's Cathedral by Msgr. 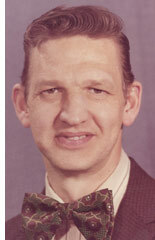 Dale Rupert, Pastor. Interment, private at the convenience of the family. There are no calling hours. 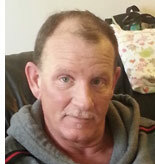 William (Bill) Joseph Gilday, 51, of Buckeye, AZ, died after a sudden illness on March 12, 2019. Born in Scranton, Bill was the son of William F. and Susan Buzzinsky Gilday. 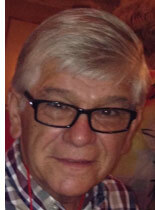 He was a devoted husband to the love of his life, Teri (Novobilski) for 15 years, and was a proud father and grandfather. 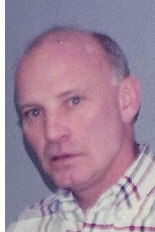 Bill was a 1985 graduate of Bishop Hannan High School and attended Penn State University. He was a member of Nativity Church in Scranton, prior to moving to Arizona. Bill was a former Eagle Scout with Hickory Street Troop 16. He worked for Progressive Insurance Company and more recently USAA, as an insurance claims adjuster. Bill was famous for his sharp wit and sense of humor - always the funniest guy in the room. He was an avid sports fan and loved rooting for Penn State and the New York Giants. He was also an accomplished coach who received many accolades, including induction into the Minor League Football Hall of Fame in 2014. Bill was an unparalleled master in the kitchen and at the grill. Anyone who has ever been to Teri and Bill's home left well-fed and laughing. He is survived by his wife Teri, daughter Kelli and son Liam, stepdaughters Amanda and Emily, three step grandchildren, Jeremiah, Amiyah Jae, and Bryson, all of Buckeye, AZ, his parents, Susan and William Gilday, sister and brother-law Jill and Michael Schulte, all of Scranton, mother and father-in-law Joseph and Joan Novobilski of Simpson, several aunts, uncles, nieces, nephews, cousins, sisters and brothers-in-law, and a multitude of friends, including his 'brother from another mother', Michael Speranzo. He was preceded in death by his grandparents Joseph and Susan Buzzinsky, Helen and Howard Gilday, and his godmother Barbara Getts. Friends are invited to call on Wednesday, March 20th, at the August J. Haas Funeral Home (202-204 Pittston Avenue, Scranton) from 4:00-7:00pm. A Mass of Christian Burial, offered by Rev. Michael Bryant, will be held on Thursday, March 21st at the St. John Newman Parish, at Nativity of Our Lord Church, beginning at 10:00 am, to be celebrated by Rev. Michael Bryant, Pastor. Interment Cathedral Cemetery. In lieu of flowers, memorial contributions may be made to St. John Neumann Parish, 633 Orchard St., Scranton, 18505. 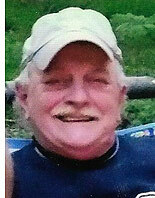 Timothy J. Burke, Sr., 57, a resident of Wilkes-Barre, died unexpectedly Sunday. He was preceded in death by his wife Jaye Burke. Born in Scranton, he was the son of Jerry and JaneAnn Philips Burke, Scranton. He was a graduate of Bishop Klonowski High School where he was an All Scholastic Baseball player. 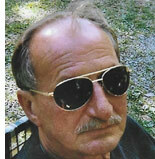 He was a retired employee of the US Post Office, working as a mail carrier in the Bethlehem office. He was an avid dart player. Tim was a loving son, husband, father, grandfather and brother who will be deeply missed. Also surviving are a daughter Caila Landis and husband Adam, Catasauqua, a son Timothy J. Burke, Jr., Bethlehem, a stepdaughter Sigourney Schappell and fiancee David Gerardi, Exeter, four grandchildren; Payton and Reagan Landis and Macie and Audryna Gerardi, his brother Jerry Burke and wife Sue, Clarks Summit, and his sister Eileen Notariani and husband Jim, Scranton, and nieces and nephews. The funeral will be private and held at the convenience of the family. Memorial contributions may be made to St. John Neumann Parish, Nativity Of Our Lord Church, 633 Orchard St., Scranton, 18505. Arthur P. Zeszotarski, 84, a resident of Scranton, died Sunday in the Washington DC VA Medical Center after a brief illness. Born in Scranton, he was the son of the late Theodore and Celia Filkowski Zeszotarski. He was formerly a resident of Holy Family Apartments, Scranton, and presently resided in Little Sisters Of The Poor Retirement Jeanne Jugan Residence, Washington DC. He was a graduate of St. Bonaventure High School, Sturtevant, WI., and the University of Wisconsin, LaCross. WI. He was a Veteran of the US Army and then he enlisted in the US Navy during the Vietnam War. He was formerly employed as an Elementary School teacher. Art enjoyed being a free spirit and traveling the country. Surviving is a sister Joan McGuigan and husband Joseph, Homosassa, FL. and nieces and nephews. He was also preceded in death by three brothers; Edmund, Robert and Joseph, and two sisters; Rita Laska and Dorothy Carroll. The funeral will be private and held at the convenience of the family. Memorial contributions may be made to Little Sister Of The Poor, 4200 Harewood Rd. NE, Washington, DC 20017. Ronald W. Graff, 80, a resident of South Abington Twp., died Sunday evening at home after being stricken ill. His wife of 56 years is the former Bernice Kostzeski. Born in Scranton, he was the son of the late Peter and Jeanette Brazill Graff. He was a member of the Church Of St. Gregory. He was a graduate of St. Mary Of The Assumption High School and he attended Lackawanna College, The University Of Richmond, and graduated from Bethel College with a BS in Business Administration and Marketing. He was the owner and operator of Ron Graff Appraisal Service. Ron was a Marine Corps Veteran, was a member of the American Legion and the NRA and he was a regular donor to the Special Olympics. He was a loving husband, father and grandfather who will be deeply missed. Also surviving is a daughter Aleta Habeeb and husband Chris, Youngsville, NC., his daughter-in-law Colleen Graff and husband Rob Webb, S. Abington Twp., granddaughter Mary Graff and grandson Ronald Graff, a sister Mary Lou Sweeney, Scranton and nieces and nephews. He was also preceded in death by his son Peter C. Graff ll, and a brother William Graff and his sister Marjorie Geiger. The funeral will be Saturday at 9:15 AM from the August J. Haas Funeral Home, Inc., 202 Pittston Ave., with Mass Of Christian Burial at 10 AM in the Church Of St. Gregory, to be celebrated by Rev. John Lapera, Pastor. Entombment Cathedral Cemetery. Friends may call Friday from 4 to 7 PM. In lieu of flowers, memorial contributions may be made to The Arc of NEPA, 115 Meadow Ave., Scranton, 18505, or to the Special Olympics at give.specialolympics.org/Pennsylvania. Robert F. (Bob) Slangan, a lifelong resident of South Scranton, passed away peacefully and surrounded by his family on Saturday evening at Moses Taylor Hospital after a brief but hard-fought battle with leukemia. He is survived by his wife and high school sweetheart, Catherine Aten Slangan. The couple would have celebrated their 55th wedding anniversary on April 18th. Born on July 24, 1939, Robert is the son of the late Frank and Margaret Kellerman Slangan. He was educated in Scranton schools and graduated in 1957 from Scranton Technical High School where he earned boys' practical arts course honors. Prior to retirement he was employed for 37 years as an ironworker with McGregor Industries, Inc. (McGregor Architectural Iron). 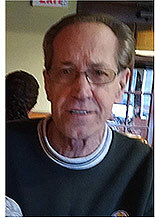 He was an avid fan of the Boston Red Sox and Philadelphia Eagles. A consummate handyman with a pristine workshop, he liked to "tinker" and "rig" things, had a fondness for lattice, and was a perfectionist. He was a homebody and always took much pride in the care and maintenance of his home. He is also survived by two daughters, Michelle Slangan Burge, wife of Glenn Allan, Taylor, and Rebecca Slangan and boyfriend, Edward Lahart, both of Exeter; a grandson, Glenn Robert and girlfriend, Brittany Horvath, both of Taylor; a sister-in-law, Dorothy Aten Partyka; a nephew, Jack Partyka, and a niece, Debra Partyka Metzgar, and their families; and several cousins, including Walter "Babe" Gantz and the late Francis "Coogie" Gantz, both of whom he thought the world. He was preceded in death by a sister, Shirley, in 2017. The family would like to extend its gratitude to Dr. Jeffrey Gryn, Dr. Stephen Opsasnick, Dr. Dominic Ruggiero and the nurses of 4 West at Moses Taylor Hospital, especially Barb, for the wonderful care and concern extended to Robert during his illness. According to Robert's wishes, cremation took place. A Blessing Service will be conducted by Rev. Michael Bryant, Pastor, St. John Neumann Parish, at 12 PM, Saturday , February 9, at the August J. Haas Funeral Home, Inc., 202 Pittston Ave. Friends may call on Saturday from 10 a.m. to 12 p.m. at the funeral home. Interment private at the convenience of the family. In lieu of flowers, memorial contributions may be made in Robert's name to the donor's favorite charity. 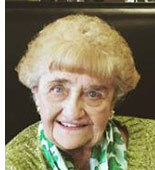 Mary Sacco, 88, passed away peacefully on Monday, January 28, in Sturgil Hill Hospice, Spring Hill FL. She was the widow of Nicholas T. Sacco who died in 2001. Born in Old Forge, she was the daughter of the late Paul and Lena Fundianuzi Colianni. After her marriage to Nicholas in 1946, in Scranton, the couple moved to New Jersey for over 30 years. 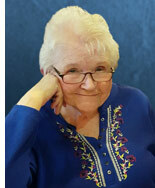 Mary worked at St. Vincent De Paul Society of St. Francis Cabrini Parish for 18 years. Her nickname was "Miss Mary." Mary lived life through simple pleasures such as knitting, collecting angels, baking, playing Bingo and going to the casinos. She also loved shopping and meeting new people, along with spending time with her family. Surviving are two sons; Nicholas T. Sacco, Waymouth, MA., Jeffery Sacco, Vineland, NJ., two daughters; Yvonne Coronna and husband Dennis, Butler, NJ, and Mary Reilly and husband Steve, West New York, NJ., Seven grandchildren; Dawn Kimbal and husband Paul, Cheryl Palko, Steven Reilly, Jr. and wife Heidi, Christopher Reilly, Dianna Reilly, Christina Sacco and Anthony Sacco, a sister Carmella Schwaner, Garfield, NJ., and nieces and nephews. She was also preceded in death by two sisters; Josephine Labelli and Angeline Pomar, and four brothers; John, Paul, Joseph and Vincent Colianni. The funeral will be Monday at 9:30 AM from the August J. Haas Funeral Home, Inc., 202 Pittston Ave., with Mass Of Christian Burial at 10 AM in Nativity Of Our Lord Church, St. John Neumann Parish, 633 Orchard St., to be celebrated by Rev. Michael Bryant, Pastor. Interment Italian-American Cemetery, Minooka Section. Friends may call Sunday from 2 to 5 PM. 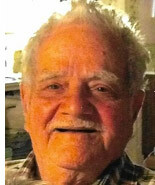 Ernest Frank Refice died on Wednesday, January 30, 2019, at the age of 96 at Allied Services Skilled Nursing Center. Ernie, as everyone called him, was a lonely man. His beloved wife, Yolanda Morreale, passed away four years ago and left a void in his heart that grew bigger with each passing day. He earnestly and impatiently waited until they could be reunited once again. Ernie was born in Scranton on April 8, 1922, son of the late Joseph and Linda Bufalini Refice. He grew up in a loving, hardworking family, one of 8 children. His father was an atheist but his mother insisted he go to church every Sunday. He was a dependable, hardworking child and at age 12 began working as a sacristan at St. Francis Of Assisi Church and was put in charge of ringing the church bell every morning before school. This was his first paying job. He attended Garfield Grade School and graduated from Scranton Technical High School in 1940. Jobs were hard to find then so when he was offered a job in May at Haddon Craftsman while he was still a senior, he accepted. He took a day off from school to take his final exams so he could graduate with his class. He held this job, interrupted only by military service, until he retired in 1984. He joined the army in 1942, and served in three branches, Air Force, Infantry and Engineering. Because of poor vision, he saw no combat but was a good cook and was made the head cook of KP. He cooked until very late in his life. He was re-known for baking homemade breads. 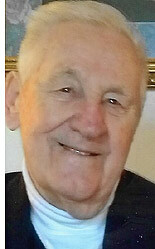 He was the longest living and oldest member of Elm Park United Methodist Church and was past president of the Junior and Senior Holy Name Society and was also a past member of its Finance Committee. He volunteered at the Lackawanna County bread Basket for 25 years. He was a handyman who loved to tinker and fix things, play cards, especially poker with his friends at Geneva House, cook, bake breads and make pizza. He was a pleasant, non-confrontational man and was unable to say no. His family was his life. His most enjoyable moments were spent with them. He is survived by his son, Marc, Scranton, grandchildren, Devin, Doylestown, Megan, Chase, Maggie and Sarah Refice, and Emily Okon, all of Scranton, five great grandchildren, many nieces and nephews, brothers-in-law and sisters-in-law. He was preceded in death by his wife Yolanda, daughter Marissa Okon, great granddaughter Charity Refice, brothers Edward, Louis, Robert and Aldo Refice, and sisters; Jessie Costanzi, Mildred Oliver and Helen Prejean, and sisters-in-law Iris Refice, Dorothy Refice and Mary Refice. The funeral will be Saturday, February 2, with a Service Of Death and Resurrection at 2:30 PM in Elm Park United Methodist Church, 712 Linden St., with Pastor Michael A. Bealla officiating, assisted by Rev. Eric Luczak. Interment private at the convenience of the family in Italian-American Cemetery, Minooka Section. Friends may call at the church Saturday from 12:30 PM to 2:30 PM. In lieu of flowers, memorial contributions may be made to Elm Park United Methodist Church at the above address. 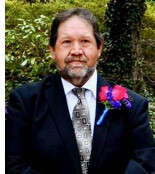 William Murray Donovan lll, 64, passed away on January 16, 2019, in Geisinger CMC. Born in Scranton, he was the son of the late William M. Jr. and Miriam McCarthy Donovan. Bill graduated from Scranton Preparatory School in 1973 and earned a Bachelor Of Science degree in Forensic Science at the University Of Mississippi. He soon relocated to New Orleans, Louisiana, pursuing his passion of being a death scene investigator as well as becoming married and having two children. 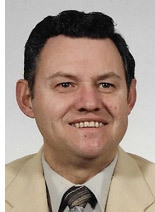 During his time in the field, he spoke on forensics as a guest speaker throughout many universities in the Southeastern United States and helped to set up a Forensic Seminar At Sea with prominent guest speakers in the field such as Henry Lee and Mike Boden. He was later promoted to deputy coroner of Jefferson Parish and had a very accomplished career performing several thousand autopsies to determine causes of death. Bill moved back to Scranton for the last ten years of his life where he would work at MFT Biologics as a circulator. He also raised his two sons; Sean and Neil, during this time. Bill was a devout advocate and contributor to both his fraternity DKE and his alma matter Scranton Prep. 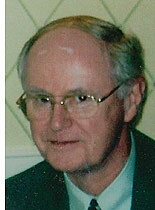 He was a very intelligent and independent man who was greatly appreciated by all friends and family throughout his life. Bill's ultimate cause of death could not be determined. Bill is survived by his son Sean Donovan, Philadelphia, his cousin Neil Donovan and wife Dawn, Devon, his sister-in-law, Nancy Donovan, Clarks Summit, and his former wife, Suzie Donovan. He was also preceded in death, in addition to his parents, by his son Neil Donovan, his sister Patricia Fox, his brother Robert Donovan, and his niece Wemberly Fox. Mass Of Christian Burial will be held on Friday, at 9:30 AM in Nativity Of Our Lord Church, St. John Neumann Parish, 633 Orchard St. with Rev. Michael Bryant, Pastor, Celebrant. In lieu of flowers, memorial contributions may be made to St. Joseph's Center, 2010 Adams Ave., Scranton, 18509. Paul L. Caviston, a South Scranton resident, died Monday, after a brief illness, at Mountain View Care Center, surrounded by his loving family. He was preceded in death by his wife, the former Edith Hinkle in 2007. Born in Scranton, he was the son of the late Maurice and Beatrice Sheridan Caviston. He was a member of St. John Neumann Parish and was a graduate of South Scranton Catholic High School and he attended The University Of Scranton. He was employed as a Lackawanna County Tax Asseser and for over 50 years he was a Pennsylvania State Constable. He was a former president of Lackawanna County Constable's Association and he was a board member of the Pa. State Constable's Assn. He was a member of the Dutch Hollow Neighborhood Assn., the German American Society, and he was very active in the Democratic Party. Paul was a very social man who truly enjoyed being with and helping people. He was the official Mayor Of Mountain View Care Center. Paul was a great dad, loving husband, father and grandfather who will be deeply missed. Surviving are a daughter Mary Ellen Walsh and husband Myles, and a son Paul M. Caviston and wife Carol, all of Scranton, two grandchildren; Ryan Caviston and wife Morgan, and Alexis Caviston and boyfriend Josh Ashmar, all of Scranton, a sister Marilyn Nooney, Scranton, Nieces Cheryl Mehringer, Bowie, MD., Mary Beth Lennox, Olyphant, nephew Brian J. Nooney, and companion Renee Martin, Harrisburg, great nieces Meghan Gagorik and husband Greg, and their children, Clarks Summit, Melissa Lennox, Olyphant, great nephews John Lennox, Bowie, MD. and Collin Nooney, VA. He was also preceded in death by his sister and brother-in-law Rose and Louis Lanzo, a brother-in-law, Francis K. Nooney , a nephew Francis J. Nooney and a nephew-in-law, Clete Mehringer. The funeral will be Friday at 10:30 AM from the August J. Has Funeral Home, Inc., 202 Pittston Ave., with Mass Of Christian Burial at 11 AM in St. John Neumann Parish, Nativity Of Our Lord Church, 633 Orchard St., to be celebrated by Rev. Michael Bryant, Pastor. Interment Cathedral Cemetery. Friends may call Thursday from 4 to 7 PM. In lieu of flowers, memorial contributions may be made to Mountain View Auxiliary, 2309 Stafford Ave. 18505. Anne B. (Blackledge) Logan, 85 of Westerly. RI, formerly of Scranton, passed away December 31, surrounded by her loving family at the Apple Rehab Watch Hill, Westerly, RI. She was the beloved wife of the late Joseph P. Logan. Born in Carbondale and raised in Scranton, she was the daughter of the late George and Bertha Flannery Blackledge. She was a graduate from Holy Rosary High School and was a telephone operator for Bell Telephone retiring after 41 years of service. She was proud of her Irish Heritage and always had an Irish sparkle in her blue eyes. She was a member of Bell Telephone Pioneers, Ladies Ancient Order Of Hibernians, and an active member of Fr. Sica's 800 Book Club. 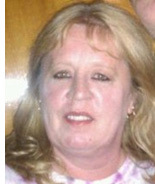 She is survived by her daughter Theresa Anne Breslin and husband Michael of Westerly, RI, with whom she resided. 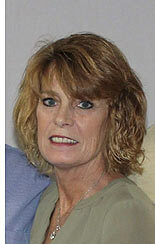 She was the loving grandmother of Ryan and Erin Breslin. She is also survived by her cousin Mary Clare Burnett of Carbondale, who was like a sister to her. Also surviving are many cousins and her many good friends. The family would like to thank the entire staff at Apple Rehab Watch Hill and Beacon Hospice for their loving care of Anne. A Mass of Christian Burial will be celebrated Thursday at 10 AM in Immaculate Conception Church, 801 Taylor Ave., by Rev. 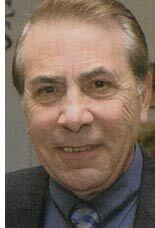 Joseph Sica. Interment Cathedral Cemetery. Friends may call at the church Thursday morning from 9 to 10 AM. In lieu of flowers, memorial contributions may be made to St. Joseph's Center, 2010 Adams Ave. Scranton, 18509. Elizabeth Hayes, 94, a South Scranton resident, died Wednesday evening in Scranton Health Care Center. She was the widow of Raymond Hayes, Sr. who died in 1983. Born in Scranton, she was the daughter of the late Francis and Theresa Zbor Willy. She was a member of St. Mary Of The Assumption Church until its closure. She was a graduate of Marywood Seminary and Mercy Hospital School Of Nursing. She was formerly employed as a Registered Nurse. Betty was a loving wife, and devoted mother, grandmother and great grandmother who will be deeply missed. The family would like to thank the wonderful and loving staff of Scranton Health Care Center for 11 years of care. Surviving are four children; Raymond Hayes, Jr. and wife Jamie, Mariagnes Ritterbeck and husband Gerard, Marty Hayes and wife Eileen, all of Scranton, and Elaine Bussoletti and husband Albert, Harrisburg, eight grandchildren; Eileen Hayes, Kevin Hayes, Sr. and wife Mariclare, Brett Ritterbeck and wife Allison, Stephen Hayes, Shawn Hayes and wife Lindsay, Sara, Matthew and Molly Hayes, five great grandchildren; Kevin Hayes, Jr., Nora, Jack, Julia, and Harrison Hayes, and many nieces and nephews. She was also preceded in death by a son Thomas Hayes and two sisters; Rose Gould and Frances Dranchak. A Mass Of Christian Burial will be celebrated Saturday at 10 AM in Divine Mercy Parish, St. Joseph's Church, 312 Davis St., by Rev. Francis Pauselli, Pastor. Interment Cathedral Cemetery. Friends may call 8:30 AM to 10 AM at the church. In lieu of flowers, memorial contributions may be made to Scranton Health Care Center Activities Fund, 2933 McCarthy St., Scranton, 18505. Lindsey Smurl, 31, a resident of South Scranton, died unexpectedly Monday morning at home. Born in Scranton, she was the daughter of Gerald and Carol Jimcosky Smurl, Scranton. She was a member of St. John Neumann Parish and was a graduate of Bishop Hannon High School and attended Marywood University. Also surviving are her brother Matthew Smurl, Scranton, maternal grandmother Fumi M. Jimcosky, Scranton, her companion John Ryan Moskwa, with whom she resided, aunts, uncles and cousins. She was also preceded in death by her maternal grandfather Stanley Jimcosky, and her paternal grandparents James and Helen Jones Smurl. A Mass Of Christian Burial will be celebrated Friday at 11 AM in Nativity Of Our Lord Church, St. John Neumann Parish, 633 Orchard St. by the Rev. Michael Bryant, Pastor. Friends may call at the church Friday from 9 to 11 AM. In lieu of flowers, memorial contributions may be made to St. John Neumann Parish. 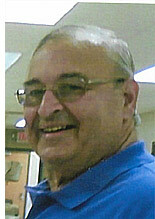 John S. Biagioli, 69, a resident of South Scranton, died Thursday at home after an illness. His wife of 45 years is Janice Kolata Biagioli. Born in Scranton, he was the son of the late John and Frances Berry Biagioli. He was a member of St. Mary Of The Assumption Church until its closure. He was educated in Scranton public schools and he was employed by RCA and retired from Lazy Boy. John was a Vietnam Army veteran. John was a loving husband, father, grandfather and great grandfather who will be deeply missed. Also surviving are a son Nick Biagioli and wife Maggie, Las Vegas, three grandchildren; Shauna White, Craig Gill, and Geno Biagioli, and two great grandchildren, the pride of his life, Damion and Devon, two sisters; Helen Rodney, Scranton, and Ann Marie Schwenk and husband Paul, Daleville, and nieces and nephews and great nieces and great nephews. He was also preceded in death by a daughter Dawn Miller. A Blessing Service will be held Monday at 7 PM, by Rev. Michael Bryant, in the August J. Haas Funeral Home, Inc., 202 Pittston Ave. Friends may call Monday from 4 to 7 PM. In lieu of flowers, memorial contributions may be made to Wounded Warrior Project, 4899 Belfort Rd., Suite 300, Jacksonville, FL. 32256. Debbie Connors Klens, 65, a resident of Scranton, died Saturday morning in Allied Skilled Nursing Center after an illness. Born in Scranton, she was the daughter of the late Edward J. and Mary T. Reimer Connors. She was a member of St. John Neumann Parish and she was a graduate of South Catholic High School and Empire Beauty School. She was self employed in the Beauty Industry. Debbie had a love of life, loved her family and she had a heart of gold. Surviving are two brothers; Edward Connors and wife Nancy, S. Abington Twp., and Robert Connors and wife Linda, Scranton, and many nieces and nephews and great nieces and nephews, and her former husband Rick Klens, Scranton. 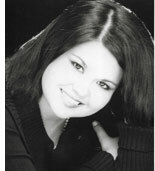 She was also preceded in death by a brother Patrick Connors and a niece Michelle Connors. A Mass Of Christian Burial will be celebrated Wednesday at 10:30 AM in Nativity Of Our Lord Church, St. John Neumann Parish, 633 Orchard St. Interment private at the convenience of the family. Friends may call Wednesday morning at the church from 9 to 10:30 AM. In lieu of flowers, memorial contributions may be made to St. Joseph's Center, 2010 Adams Ave., Scranton, 18509. Ann M. Strasburger, 96, a South Scranton resident, died Tuesday afternoon in Mountain View Care Center. Her husband of 57 years, George Strasburger, died in 1998. Born in Scranton, she was the daughter of the late John and Rose Cardone Falciglia. She was a graduate of Scranton Technical High School and she was a member of St. Mary Of The Assumption Church until its closure. Presently she was a member of St. John Neumann Parish. She was also a member of the After 50 Club. While raising six children, Ann was a bookkeeper and payroll clerk for her husband's contracting business and she helped him in volunteering for Meals On Wheels for 20 years. Ann was noted to be a wonderful cook and baker and an excellent seamstress making draperies and outfits for her daughter and mother. Ann had many friends and family members who visited her often, especially her Philadelphia friend of 30 years, Judy. She and her husband, George, had many parties at home and at the lake every summer for family and friends. Ann was a very mild woman treating everyone with respect and she will be missed by all who loved her. Special thanks to Dr. Turock for all his kindness and attention to Ann over the years. 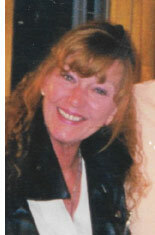 Ann is survived by one daughter, Fran Ross and husband Patrick, Scranton, sons; John Strasburger and wife Elizabeth, Roaring Brook Twp., George Strasburger and husband Wayne, Tucson, AZ., and Michael Strasburger and wife Naomi, Scranton, four grandchildren; Sierra, Stephani, John and Michaela, three great grandchildren; Samara Lynn, Daniel and Ezra, and nieces and nephews. She was also preceded in death by a son James, an infant daughter Marie, and three brothers; Frank, Joseph and Anthony Falciglia. The funeral will be Saturday at 9 AM from the August J. Haas Funeral Home, Inc., 202 Pittston Ave. with Mass Of Christian Burial at 9:30 AM in Nativity Of Our Lord Church, St. John Neumann Parish, 633 Orchard St., to be celebrated by Rev. Ryan Glenn. Interment St. Catherine's Cemetery, Moscow. Friends may call Friday from 4 to 7 PM. Memorial contributions may be made to St. Francis Kitchen, 500 Penn Ave., Scranton, 18503. Anna M. Barbini, 86, a South Scranton resident, died Friday at the Jewish Home Of Eastern Pennsylvania. 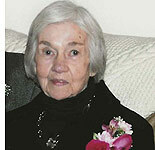 She was the widow of Henry J. Barbini who died in 2004 and the couple were married for 53 years. Born in Scranton, she was the daughter of the late Frank and Sara Cane Kane. She was a member of St. John Neumann Parish, was educated in Scranton public schools and she was a licensed LPN. Anna was a loving wife, mother and grandmother who will be deeply missed. Surviving is her devoted son Robert Barbini, with whom she resided, two granddaughters; Danielle Gowarty and fiancee Mark Brennan, Mayfield, and Angela Barbini, Scranton, five great grandchildren and nieces and nephews. She was also preceded in death by her son James Barbini and granddaughter Ashley Barbini and several brothers and sisters. A Mass of Christian Burial will be celebrated Friday at 9:30 AM in St. John Neumann Parish, Nativity Of Our Lord Church, 633 Orchard St., with Rev. Michael Bryant, Pastor, officiating. Interment Cathedral Cemetery. There will be no calling hours. Everyone is asked to go directly to church Friday morning. Eleanor "Ellen" Langan, a longtime resident of the Hill Section, passed away peacefully after a brief illness, on Friday morning, hours after her 92nd birthday, at The Hospice Of The Sacred Heart, Dunmore. She was the widow of James M. Langan, Sr, who passed in 1994. The couple were married for 42 years. Born in Tulsa, OK., she was the daughter of the late John and Mary Read Jordan. Raised in Carthage, Tn., she graduated from the former Nazareth College, Kentucky, with graduate studies at Catholic University and Northwestern University. She met her husband, Jim, at Catholic University in Washington, DC. They were married in 1952, and raised their three children in Scranton, Pa. Ellen taught English and Speech at Central High School, Scranton, for 30 years and coached award-winning Speech and Debate teams for 50 years. She mentored countless students who have gone onto success in various fields, and refer to "Mrs. L" as one of the defining influences in their lives. Her Scranton High Team held the state record for most overall speech an debate wins in Pennsylvania, and Ellen is known and respected around the nation. Along with her late husband, Jim, she directed and acted in many local theatre productions. 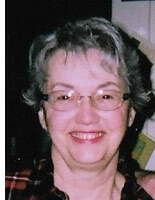 She was a member of Immaculate Conception Church and she was a proud member of the Scranton Federation Of Teachers. The family would like to extend a special thanks to Ellen's physician Dr. Anees Fogley and Karen Fogley, the staff of Regional Hospital Of Scranton's 9th floor, and the staff and volunteers of Hospice Of The Sacred Heart, Dunmore. Surviving are her loving children: daughters Read Langan, Hopewell, NJ., Betsy Esgro and husband Carmen, Scranton, and her son James, Jr., Scranton, and his girlfriend, Jennifer Terrell, New York City. Also surviving are beloved grandchildren: Cara Esgro, La Jolla, CA., Colin Esgro, Esq., and his wife Mary, and a great grandchild James Christopher Esgro, Pittsburgh, PA. Surviving also is a niece, Cathy Robarge and her husband Scott, Fairfield, CA., a cousin Joseph Langan, Albany, NY, and cousin Alice Dalton of Atlanta. GA. She was also preceded in death by her brother John Jordan and beloved grandson Christopher Esgro. The funeral will be Wednesday at 9:30 AM from the August J. Haas Funeral Home, Inc., 202 Pittston Ave., with Mass Of Christian Burial at 10 AM in Immaculate Conception Church, 801 Taylor Ave., to be celebrated by Rev. Joseph Sica. Interment private at the convenience of the family. Friends may call Tuesday from 4 to 7 PM. In lieu of flowers, memorial contributions may be made to Hospice Of The Sacred Heart, 100 Williams St. Dunmore, PA. 18510. Leo P. Del Prete, 86, Clarks Summit, formerly of South Scranton, died Friday evening in Geisinger Wyoming Valley Hospital. He was the husband of the former Jean Marrazzo who died in 1999. Born in Scranton, he was the son of the late Louis and Catherine Sylvester Del Prete. He attended Scranton public schools and was a member of St. Francis Of Assisi Church until its closure, presently he was a member of St. Paul Of The Cross Parish. He was a retired employee of Haddon Craftsmen. Leo was very active in his church, being a Eucharistic minister, usher, served funeral masses and cooked and served at the annual macaroni dinner. He was a member of the Graphic Artist Union and the former Dante Club. He enjoyed the casino and planting his vegetable garden. His life truly revolved around his family, especially his grandchildren, and his church. The family would like to thank the doctors and staff of the ICU department of Geisinger Wyoming Valley for their care and compassion. Surviving are three children; Michael Del Prete and wife Donna, Clarks Summit, Paul Del Prete and wife Andrene, Scranton, and his daughter with whom he resided, Lee Ann Lenceski and husband Ben, Clarks Summit, seven grandchildren, three great grandchildren, a brother Robert Del Prete and wife Joann, Lady Lakes, FL. , and nieces and nephews. He was also preceded in death by a sister Angela Martin and four brothers; Ralph, Francis, Carl and Louis. The funeral will be Wednesday at 9:30 AM from the August J. Haas Funeral Home, Inc., 202 Pittston Ave., with Mass Of Christian Burial at 10 AM in Sacred Hearts Of Jesus and Mary Church, St Paul Of The Cross Parish, 1217 Prospect Ave. Interment Italian-American Cemetery, Minooka Section. Friends may call Tuesday from 4 to 8 PM. In lieu of flowers, memorial contributions may be made to Susan G. Koman Foundation at Komen.org. F. Robert Brady, a South Scranton resident, died Tuesday, October 9, 2018, in Hospice Of The Sacred Heart, Dunmore. He was the husband of Joanne M. Atcachunas Brady who predeceased him in 2010. They were married for nearly 56 years. Born in Scranton, he was the son of the late Frank and Clara Bauman Brady and stepson of the late Irene Bauman Brady. 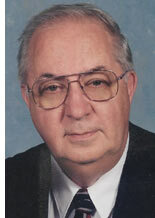 He received his bachelor of science degree in accounting from the University Of Scranton in 1965. He had a lifelong career in accounting, was a member of the Kawanis club for many years and a member of St. John Neumann Parish where he served as a Eucharistic Minister. He was a loving and devoted husband, father and grandfather. He was very generous to friends, family and neighbors, assisting with tax preparation. His interests included woodworking and travel. Surviving are a daughter Sharon Ratchford and husband Atty. David, Clarks Green, a son Paul Brady and wife Sandra, Scranton, grandchildren Kassandra Karvan, Norristown, Paul Brady and Malaney Brady, Scranton, and nieces and nephews. He was also preceded in death by two brothers; John and Donald Brady. The funeral will be Monday at 9:30 AM from the August J. Haas Funeral Home, Inc., 202 Pittston Ave., with Mass Of Christian Burial at 10 AM in Nativity Of Our Lord Church, St. John Neumann Parish, 633 Orchard St., to be celebrated by Rev. Michael Bryant, Pastor. Interment St. Catherine's Cemetery, Moscow. Friends may call Sunday from 2 to 5 PM. In lieu of flowers, memorial contributions may be made to Hospice Of The Sacred Heart, 100 Williams St., Dunmore, 18512. For information on memorial donations, please email wecare@hospicesacredheart.org, or call (570) 706-2400. It is with great sadness that the family of Carol Owens Oleski announces her passing after a courageous battle with lung cancer on October 9, 2018, at the age of 55 years. She passed at Hospice Of The Sacred Heart, Dunmore, surrounded by her family. Carol was married to her devoted husband, Tom, for 30 years. Tom was Carol's rock for the duration of her battle, tirelessly caring for her. Carol was a resident of Scranton. Born in Brooklyn, NY, on November 20, 1962, she was the daughter of the late Walter and Catherine Gillen Owens. Carol is a 1980 graduate of West Scranton High School. Carol was employed as a crisis intervention specialist by the NEIU-19 and was currently serving as a Scranton School Board Director. Carol was a selfless, compassionate, and determined individual who always put the needs of others before her own. Carol was dedicated to improving the lives of others, especially children, through her roles as a foster parent for over 25 years, former PTA president, and current school board director. Her experience in these roles have touched the lives of over 10,000 children. Carol built a warm and loving home, having an open-door policy where everyone was treated like family. The family would like to extend a special thank you to Carol's physicians, Drs. Montella, Fateh, Peters, and their staff. Also surviving are four children; Jennifer, Thomas and his wife Kylie, Katrina, and Brandon; adopted daughters Felicia Rocco, Jessica Rosario, Ally Legora, and Briana Eder; grandchildren; Felix, Angelina, Marcos, Jelissa, Angela, Sofia, Jaylani, and Angel; and over 100 foster children throughout her 25 years as a foster parent. Carol is also survived by her sister, Kathleen Layton and husband Paul; and many nieces and nephews. Carol was also preceded in death by adoptive daughter, Donna. A Blessing Service will be conducted Saturday at 6 PM by Rev. Duane Gavitt in the August J. Haas Funeral Home, Inc., 202 Pittston Ave. Friends may call Saturday at the funeral home from 2 to 6 PM. Frank J. Pierangeli, 67, a resident Of Scranton, died Thursday morning in Geisinger Medical Center, Danville, after an extended illness. Born in Scranton, he was the son of the late Joseph and Mary Migliorino Pierangeli. He attended Scranton public schools and was employed as a printer and later was co-owner of Reeser Brothers Printing. He later became a courier for a local bank and retired as an over the road truck driver for a freight company. Frank enjoyed planting flowers and gardening, loved caring for animals, and lastly just hanging out at Frank's News in downtown Scranton. Surviving are a brother Joseph Pierangeli and wife Lori, Gouldsboro, a sister Nancy Soule, Hazlet, NJ., and nieces and nephews; Adrienne Pierangeli, Esq., Jefferey and Gregory Soule and Tanya Jaquet, and several great nieces and great nephews. The funeral will be Tuesday at 9:15 from the August J. Haas Funeral Home, Inc., 202 Pittston Ave., with Mass Of Christian Burial at 10 AM in St. Catherine Of Sienna Church, 220 Church St., Moscow, to be celebrated by Rev. Robert Simon, Pastor. Interment Italian-American Cemetery, Minooka Section. Friends may call Monday from 5 to 8 PM. In lieu of flowers, memorial contributions may be made to Geisinger Foundation, 100 N. Academy Ave., Danville, Pa. 17822, please indicate transplant. Joseph F. Barbuti, Sr., 83, a resident of Scranton, passed away Wednesday due to complications following a stroke. His wife of 49 years is the former Marie Sacco. Born April 25, 1935, in Scranton, he was the son of the late Joseph and Theresa Piserchio Barbuti. Joe was a graduate of Scranton Technical High School, Class of 1953, where he was an athlete, president of his senior class, and voted "Most Likely To Succeed". He proudly served his military duty in Germany from 1957 through 1959, with an honorable discharge. He was a member of Holy Name Of Jesus Church, St. John Neumann Parish, serving many years as a Eucharistic Minister and happily helped in the kitchen for many past roast beef dinners. Joseph was also an avid Bridge player having achieved his life Master in Bridge when he was 42 years old. He and his bridge partner, and close friend, Atty. Edwin Utan, won many bridge tournaments. For many years, Joe was an outstanding Bocce player. He belonged to the Victor Alfieri Club, where he loved being among his many friends playing bocce and winning many games. For years he was the owner of C&S Wood products, Olyphant. Family gatherings were very important to Joe, together with his children, 11 grandchildren, a few friends and good food. People enjoyed his caustic wit and ribbing. Being a music lover, Joe and his wife Marie were among the founders of Mostly Opera Co., also serving on the board for 18 years. Also surviving are his daughter Danielle Ashman and her son Jordan, at home, son, Joseph Barbuti and wife Melissa, Old Forge, and their five children; Faith, Gracie, Lily, Nina and Joseph Christian; a daughter Leandra Barbuti-Ayala and husband Laurentino, Scranton, and their five children; Laurelee, Vikki, Joey, Rocco and Diego, nieces and nephews. He was also preceded in death by two brothers Michael and Frank. The funeral will be Monday at 10:30 AM from the August J. Haas Funeral Home, Inc., 202 Pittston Ave., with Mass Of Christian Burial at 11 AM in Holy Name Of Jesus Church, 1414 E. Elm St., to be celebrated by Rev. Ryan Glenn. Entombment Cathedral Cemetery. Friends may call Sunday from 2 to 5 PM. In lieu of flowers, memorial contributions may be made to Griffin Pond Animal Shelter, 967 Griffin Pond Rd., S. Abington TWP., 18411 or to Tribute Program, St. Jude's Children's Research Hospital, PO Box 1000 Dept 142, Memphis, TN. 38101-9908. 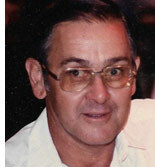 Edward J. Matyjevich, Sr., 69, a resident of Taylor, died Sunday in the VA Medical Center, Plains Twp. Born in Scranton, he was the son of the late Eugene and Elizabeth Slavinski Matyjevich. He was a member of St. Stanislaus Cathedral, was a graduate of Scranton public schools and he was employed in the local construction industry. He was a veteran of the Vietnam War. He enjoyed camping and the outdoors. Surviving are two daughters Melissa Wetter, Pittston Twp., and Wendy Sellers, Florida, and two sons Edward J. Matyjevich, Jr., Pittston, and Brian Matyjevich and wife Jillian, Pittston, 13 grandchildren and 4 great grandchildren and nieces and nephews. He was also preceded in death by his companion Theresa Mole, and two sisters Frances and Eleanor, and two brothers Joseph Matyjevich and Thomas Daniels. A Blessing Service will be conducted Friday at 6 PM by Rev. Michael Bryant in the August J. Haas Funeral Home, Inc., 202 Pittston Ave. Inurnment private at the convenience of the family. Friends may call Friday from 4 to 6 PM. 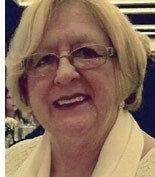 Mary Frances Holodnak, 71, a resident of Scranton, died Saturday morning in Geisinger CMC. Born in Scranton on November 4, 1946, she was the daughter of the late Anthony Edward and Pauline Victoria Novak Holodnak. Mary Frances was a very happy woman and accepting to everyone she encountered. 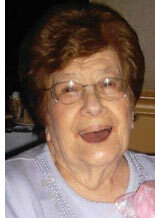 She loved playing cards, bingo, polkas, and especially candy. She touched many lives and will forever be remembered. Surviving are her life partner Wally Zieminski, son Edward Holodnak and his children; Paulina and Madison Holodnak, all of Scranton, and a daughter Lisa Dortch Mathison and her children Domonique and Vershawn Mathison and Dante Thompson, all of Colorado Springs, CO. and nieces and nephews. She was also preceded in death by a brother Edward Holodnak and four sisters; Alvina Rybnik, Antoinette Shimley, Marlene Holodnak, and an infant Delores Holodnak. A Blessing Service will be conducted Thursday at 6 PM by Rev. Ryan Glenn in the August J. Haas Funeral Home, Inc., 202 Pittston Ave. Friends may call on Thursday from 3 to 6 PM. Cremation will follow and the interment will be private in Cathedral Cemetery. Anthony J. (T D) DeNero, 74, a South Scranton resident, died unexpectedly Friday at home after being stricken ill. His wife of 42 years, the former Marcia Akoury, died in 2012. 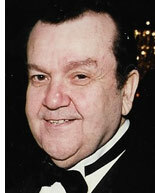 Born in Baltimore, MD., he was the son of the late Carmen and Marie Pohoda DeNero. He was a member of St. Paul Of The Cross Parish and was a graduate of West Scranton High School and Johnson Technical Institute. He was a retired employee of Acker Drill Co. Tony loved fishing and hunting and after retirement, his Friday Golf League at Pine Hills. He was a beloved and devoted husband, father and grandfather who would do anything for anyone. Surviving are a daughter Lisa Karuzie and husband Ritchie, Avoca, and a son Alan DeNero, Old Forge, grandchildren; Anthony R. DeNero and Rebecca Denero and Madison Karuzie, a brother Joseph DeNero and wife Joanne, Old Forge, a sister-in-law Debra Akoury, Scranton, nieces; Nicole Traeger and husband Ron, and Kristy, Amanda and Jamie Akoury, many cousins, close neighbors and his furry friend Caesar. He was also preceded in death by a brother-in-law Ronald Akoury. The funeral will be Wednesday at 9:30 AM from the August J. Haas Funeral Home, Inc., 202 Pittston Ave., with Mass Of Christian Burial at 10 AM in Sacred Hearts Of Jesus And Mary Church, St. Paul Of The Cross Parish, 1217 Prospect Ave., to be celebrated by Rev. Scott Sterowski, Pastor. Interment Italian-American Cemetery, Minooka Section. Friends may call Tuesday from 4 to 7 PM. In lieu of flowers, memorial contributions may be made to the donor's favorite charity. Mary Margaret Kryeski, 80, a resident of Scranton, died Tuesday at Moses Taylor Hospital. Born in Scranton, she was the daughter of the late James and Winifred Noone Durkin. She was a graduate of Scranton Central High School and she was a retired employee of the Scranton Sewer Authority. She was a loving mother, grandmother and great grandmother and sister who will be deeply missed. Surviving are three sons; Raymond Kryeski and wife Kimberly, Clarks Summit, Ronald Kryeski and wife Sharon, Forest City, and Richard Kryeski and wife Lisa, Mount Cobb, six grandchildren; Chelsie, Katie, Conor, Christopher and Richard Kryeski and Joseph Rogers, three great grandchildren; Brady, Brennan and Ramona, a sister Donna Boyd and husband Eugene, Scranton, and a brother James Durkin and wife Judy, Moscow, nieces and nephews. She was also preceded in death by a brother Bernard Durkin and a sister Winifred Klee. A Blessing Service and Rite Of Committal will be conducted by Rev. Joseph Sica in the Chapel of Cathedral Cemetery on Monday, August 27, at 10 AM. Interment Cathedral Cemetery. Friends and family are invited to assemble at the Chapel directly on Monday. In lieu of flowers, memorial contributions may be made to the donor's favorite animal rescue facility. Elizabeth E. Kubelis, 75, a resident of Scranton, died Tuesday in Allied Hospice. She was the wife of Thomas Kubelis and the couple were married for 54 years. Born in Easton, she was the daughter of the late Elmer Ackerman and Lorraine Roberts Ackermann Bozelli. She was a member of St. Vincent de Paul church until its closure. She was formerly employed by Gerrity's Market in the deli department. She was a loving wife, mother, grandmother and great grandmother who will be deeply missed. Her grandchildren and great grandchildren kept her going! Also surviving are her children; Tina Kubelis, Moosic, Lorraine Bradely, Pittston Twp., Thomas Kubelis and wife Margaret, Spring Brook Twp., Nicole Kubelis, Scranton, 9 grandchildren, five great grandchildren, and a step sister Lorene Buchner, Venice, FL. She was also preceded in death by two sons; Dean and Ronald. The family would like to thank the nurses and staff of Allied Hospice for all the care given to Elizabeth. The funeral will be Friday at 9 AM from the August J. Haas Funeral Home, Inc., with Mass Of Christian Burial at 9:30 AM in Nativity Of Our Lord Church, St. John Neumann Parish, 630 Orchard St., to be celebrated by Rev. Michael Bryant, Pastor. Interment Fairview Memorial Park, Elmhurst. Friends may call today from 4 to 7 PM. Donald J. Strasburger, 86, a life-long resident of Scranton, went to be with our Lord Sunday morning at home, surrounded by family. He was preceded in death by his wife of 63 years, Nancy Mallas Strasburger. Born in Scranton to the late Hugo and Sophie Shamberger Strasburger, he graduated from St. Mary's School of Scranton and worked as a house painter until he retired. He served in the Army as a medic for 2 tours in the Korean War and was awarded the Purple Heart and Bronze Star Medal with the "V" device for heroism in action helping to save several wounded servicemen. He is survived by his children Cheryl Green, Donna Strasburger, Susan Banks-Hawk and her husband Dale; Nancy Talapa and her husband, Charles; Donald Strasburger, Jr. and his wife, Donna Florimonte; Mary Beth Strasburger and her fiance, Franklin Pietsch; six grandchildren and four great-grandchildren and a sister-in-law, Ann Strasburger. He was preceded in death by his son-in-law, R. Bradley Green; five brothers August, George, Robert, Theodore and Willard and four sisters Loretta Dougherty, Louise Falciglia, Marie Strasburger and Verlis Noll. He was a longtime member of St. Mary's of the Assumption Church in South Scranton and a Life Member of the Disabled American Veterans. Presently, he was a member of St. John Neumann Parish. He was passionate about fishing and hunting including trips to the 1000 Islands, along with many hours at a lakefront cottage at Lake Spangenberg, Lake Wallenpaupack and other local fisheries. He enjoyed fixing things around the house, playing frisbee and horseshoes, walking around Lake Scranton with his brother George and friend Art Luciane. He also enjoyed frequent coffee dates with his wife, Nancy and children. The family would like to offer a special thank you to the VA Medical Center for over 65 years of service, their dedicated staff: Michelle Walters, Beth Morio, Ivona Kocon, Dr. Benek and many others, were essential for helping him live a long life. Recently, the tender care received from Donna and Joann through Compassionate Care Hospice and daytime caregivers, Oto Rivera and Lucy Rodriguez, were a blessing for Donald and his family. Donald's strong family bonds, sense of humor and his passion for a well-kept home including several rose bushes and gardens will be truly missed. The funeral will be Saturday at 9 AM from the August J. Haas Funeral Home, Inc., 202 Pittston Ave., with Mass Of Christian Burial at 9:30 AM in Nativity Of Our Lord Church, St. John Neumann Parish, 630 Orchard St., to be celebrated by Rev. Ryan Glenn. Interment Fairview Memorial Park, Elmhurst. Friends may call Friday from 4 to 7 PM. In lieu of flowers, donations can be sent to the Wilkes-Barre VA Medical Center, 1111 East End Blvd., Wilkes-Barre, PA 18711. Attn: Voluntary Services. 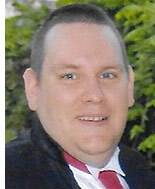 Bernard J. Roedel, Jr., 46, a resident of Hawley, died Sunday evening in Hospice Of The Sacred Heart, Dunmore. Born in Scranton, he was the son of Bernard, Sr. and Helen Holland Roedel, Scranton. He was a member of St. Paul Of The Cross Parish and was a graduate of Scranton Technical High School where he excelled in athletics. He was employed by the US Postal Service where he was a dedicated employee who worked until his illness forced him to stop. He enjoyed the Father Son Bowling League at South Side Lanes, and the Post 948 Legion Hardball. Birney was an amazing father, one of a kind brother and an awesome son. He put everyone before himself and he will be deeply missed. Also surviving are his children; Bernard J. Roedel lll, and Katherine Roedel, a brother Joseph Roedel and wife Joann, two nieces; Georgina and Hannah and a nephew Parker Roedel, and the mother of his children, Sharon Kestler, all of Lake Ariel. He was also preceded in death by an infant daughter, Angel, and three uncles; Eugene, Frances, and Anthony Roedel. The funeral will be Thursday at 9:30 AM from the August J. Haas Funeral Home, Inc., 202 Pittston Ave., with Mass Of Christian Burial at 10 AM in Sacred Hearts Of Jesus And Mary Church, St. Paul Of The Cross Parish, 1217 Prospect Ave. Interment Cathedral Cemetery. Friends may call Wednesday from 4 to 7 PM. In lieu of flowers, memorial contributions may be made to the family to be used for the further education of his children. 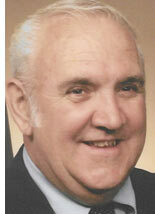 William J. Haggerty, 81, a South Scranton resident, died Sunday morning at home after an illness. His wife of 52 years is the former Nancy Neureuter. Born in Scranton, he was the son of the late William J. and Esther Riedy Haggerty. He was a graduate of West Scranton High School, Class of 1954. He was a member of St. Peter's Cathedral Parish and was a member of St. Mary Of The Assumption Church until its closure. He was an Air Force Veteran, serving in Korea and Japan among other assignments. He was employed by Industrial Electronics for 50 years. Bill was a loving and devoted husband, father and grandfather who will be deeply missed. Also surviving are a son William B. Haggerty and wife Dana, and a grandson Ethan W. Haggerty, all of Milford, and nieces and nephews. He was also preceded in death by two brothers; Robert and Gerald Haggerty. The funeral will be Wednesday at 9:30 AM from the August J. Haas Funeral Home, Inc., 202 Pittston Ave., with Mass Of Christian Burial at 10 AM in St. Patrick's Church, 1403 Jackson St., to be celebrated by Rev. Richard E. Fox, Pastor. Entombment Cathedral Cemetery Mausoleum. Friends may call Tuesday from 4 to 7 PM. Dorothy P. Warrick, 93, a resident of South Scranton, died Thursday evening in The Gardens At Scranton. Born in Dupont, she was the daughter of the late Frank and Nora Fritz Lucas. She was a member of St. John Neumann Parish and was a graduate of Pittston High School. She was a loving mother, grandmother and sister who will be deeply missed. Surviving are two sons; William Warrick and Robert Warrick and wife Roberta, all of Pittston, a sister Rita D'Angelo and husband Leo, Sr., Scranton, seven grandchildren and nieces and nephews. She was also preceded in death by a daughter Sharon Warrick and a son Paul Warrick and a brother Joseph Lucas. A Mass Of Christian Burial will be celebrated Tuesday at 10 AM in Nativity Of Our Lord Church, St. John Neumann Parish, by Rev. Michael Bryant, Pastor. Entombment Cathedral Cemetery Mausoleum. Friends may call Tuesday morning at the church from 9 to 10 AM. In lieu of flowers, memorial contributions may be made to St. Joseph's Center, 2010 Adams Ave., Scranton, 18509. Richard W. Capwell, 56, a resident of Scranton, died Tuesday evening in Hospice Of The Sacred Heart Inpatient Unit, Dunmore. Born in Scranton, he is the son of Grace Lucke Capwell Duffy, Madison Twp., and the late Wesley Capwell. He was of the Catholic faith and was a graduate of North Pocono High School. Prior to his illness, he was employed by Tobyhanna Army Depot. He was a member of Mountain Lake Sportsmen's Association. The family wishes to thank the staff of Hospice Of The Sacred Heart for all the comfort and compassion given to Richard. He was a loving son and brother who will be deeply missed. Also surviving are two sisters; Maureen Myrthel and husband Wade, Sterling, and Patricia Stout and husband Darren, Madison Twp., a stepbrother Edward Duffy and wife Janine, Scranton, and nieces and nephews, aunts, uncles and cousins. He was also preceded in death by his stepfather Edward F. Duffy, Jr. A Blessing Service will be held Tuesday evening, May 29, at 7 PM in the August J. Haas Funeral Home, Inc., 202 Pittston Ave. Interment private at the convenience of the family. David G. Waibel, 67, a resident of South Scranton, died Sunday morning in Allied Hospice Inpatient Unit. His loving wife of five and one half years is the former Theresa Baas. Born in Carbondale, he was the son of the late Herman and Mildred Jacobs Waibel. He was a graduate of Benjamin Franklin High School where he excelled as an athlete, especially in football. He was employed for 17 years by Sugarman's, working his way up to assistant manager when the store closed. He then was employed by Gerrity's in several positions, retiring as assistant produce manager. He currently drove students for North East Transit. In Dave's younger years, he was a guitar player for several local bands including Revolver and Whitebridge. He possessed an incredible knowledge of music and musicians. Music was his passion, he was also an avid Penn State and Steelers fan. David and his wife Terry, who he affectionately called his "Queen", enjoyed cooking, music, attending local concerts, watching and attending Penn State football games, and taking trips to visit their children and grandchildren. He also enjoyed attending football games with his son and brother. He was a loving husband, father, grandfather and stepdad who will be deeply missed. Also surviving are a son Jason Waibel and wife Amy, Haymarket, VA., three grandchildren; Ava, Emma and Nikolaus Waibel, a stepdaughter Kimberly Wojewodski, Charlotte, NC., a brother Richard Waible, Stroudsburg, and nieces and nephews. The family wishes to thank the staff of both Geisinger CMC sixth and eighth floor and Allied hospice for the care and compassion give them to David. The funeral will be Saturday at 9 AM from the August J. Haas Funeral Home, Inc., 202 Pittston Ave., with Mass Of Christian Burial at 9:30 AM in Immaculate Conception Church, 801 Taylor Ave., to be celebrated by Rev. Joseph Sica. Friends may call Friday from 5 to 8 PM. Interment Cathedral Cemetery. In lieu of flowers, memorial contributions may be made to American Cancer Society at donate3.cancer.org/. 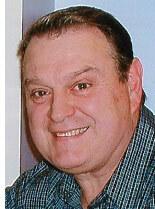 Joseph J. Cali, Sr., 62, a resident of Scranton, died Friday at home. Born in Scranton, he was the son of the late Joseph A. and Jean Bucciarelli Cali. He was a graduate of Scranton Technical High School. Surviving are his children; Joseph J. Cali, Jr. and wife Tanti, Carey Cali and Jason Cali and wife Susi, all of Avoca, four grandchildren, a sister Ann Renee Gillis and husband Mark, Naugatuck, CT., and a brother Michael Cali, Scranton, and nieces and nephews and his companion Janet Tobin. A Mass Of Christian Burial will be celebrated Friday at 10 AM by Rev. Martin Gaiardo, Assisting Priest at Mary Mother Of God Parish at Holy Rosary Church, 316 William St., Scranton. Interment private at the convenience of the family. Alice Ann Geiger, 88, a lifelong South Scranton resident, passed away peacefully Thursday evening, surrounded by her loving family, at Hospice Of The Sacred Heart Inpatient Unit, Dunmore. Her husband of 58 years is Joseph F. Geiger, Sr. Born in Scranton, she was the daughter of the late Charles and Anna Curran Zeller. She was a member of St. Paul Of The Cross Parish and was a lifelong member of St. Mary Of The Assumption Church until its closure. She was a graduate of Scranton Technical High School and Comptometer School. She was formerly employed as the executive secretary to the president of Clarol Lighting. 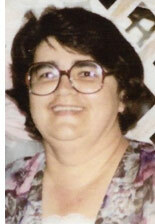 Alice was a devoted wife and mother who cherished her grandchildren. She was a faithful Catholic who instilled in her children a strong work ethic and traditional values and morals. Alice was a humble, kind and giving person. The family wishes to thank the staff of both Hospice Of The Sacred Heart and Clarks Summit Senior Living for the compassionate care given to Alice. Also surviving are a son Atty. Joseph F. Geiger, Jr., Malvern, and three daughters; Amy A. Regan and husband Paul, Downingtown, Dr. Anne A. Geiger and husband Patrick Hartman, Scranton, and Alicen Devers and husband Robert, Macungie, grandchildren; Joseph lll, Jacob and Caroline Geiger, Paxton, Megan and Matthew Hartman, Maura, Paul and Kate Regan, and Joshua and Emma Devers, nieces and nephews. She was also preceded in death by five brothers; infant Charles, Robert, Harold, Thomas and Donald Zeller, and her daughter-in-law Kelly M. Geiger who died April 9, 2018. The funeral will be Monday at 9:30 AM from the August J. Haas Funeral Home, Inc., 202 Pittston Ave., with Mass Of Christian Burial at 10 AM in Sacred Hearts Of Jesus and Mary Church, St. Paul Of The Cross Parish, 1217 prospect Ave., to be celebrated by Rev. Scott Sterowski, Pastor. Interment Cathedral Cemetery. Friends may call Sunday from 2 to 5 PM. In lieu of flowers, memorial contributions may be made to Hospice Of The Sacred Heart, 600 Baltimore Dr., #7, Wilkes-Barre, Pa, 18702 or to St. Joseph's Center, 2010 Adams Ave., Scranton, Pa. 18509. Beverly A. Shotto, 76, a resident of Scranton, died Sunday morning in Allied Services Skilled Nursing Center. She and her husband, Charles J. Shotto, celebrated their 42 anniversary on Valentine's Day. Born in Scranton, she was the daughter of the late Ralph G., Sr. and Edna A. Beadle Hahn. She was a graduate of South Scranton Central Catholic High School and she was formerly employed as a secretary. She loved to travel with her husband and she was a world class shopper. Beverly was a true lady and will be deeply missed by her family and all who knew her. Also surviving are three stepdaughters; Robin Gnall and husband Dave, Taylor, Lori A. Wolk and fiancee Randy Ettinger, Dickson City, and Jodi White and husband Toby, Clarks Summit, five grandchildren; David and Kevin Gnall, Joshua Wolk, and Justin and Hanna White, a brother Bruce Hahn, Scranton, and nieces and nephews. She was also preceded in death by a sister Judith Hahn and a brother Ralph G. Hahn, Jr. The funeral will be private and held at the convenience of the family. 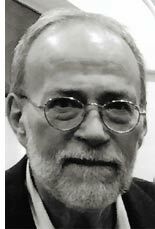 David A. Clark, 69, passed away after a determined battle with cancer on May 3, 2018 at the Hospice of the Sacred Heart. He was married to his wife, Mary (Okrasinski) Clark, for 45 years. He was the proud father of his two children, Juliane and Ben. He was born in Scranton on Jan. 11, 1949 to the late John T. and Alice McDonald Clark. He was a lifelong resident of South Scranton. He was a lifetime member of Nativity of Our Lord Church, now St. John Neumann Parish. David served his country in the Pennsylvania National Guard. 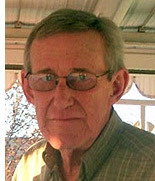 He was a journeyman plumber and retired after a successful career with UGI Penn Natural Gas. David was proud of his Irish heritage having spent many hours researching his family's Irish roots. He was a member of several Irish American organizations. His pride and joy was the St. Patrick's Parade Association of Lackawanna County in which he served as president, parade director and executive director. He also belonged to the Irish-American Men's Association and the Friendly Sons of St. Patrick. He was a member of many other community committees and events including the United Way of Lackawanna County Day of Caring. David loved his family, his friends, many of whom he had since childhood, reading historic novels, gardening, a round of golf, the Boston Red Sox, the Notre Dame Fighting Irish and linguini in clam sauce, especially his wife's. 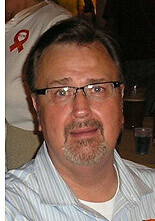 He is survived by his wife, Mary; his daughter, Juliane Clark and her husband, Jason Buffington, of Taunton, Mass. ; and his son, Ben, of Scranton. He was the proud Papi to Jack, William, Quinn and Isabelle Buffington. He is also survived by his sister, Ellen Clark Walsh and husband, Pat; brothers, Jack and wife, Nancy; Gerry and wife, Teresa; Gene and wife, Holly; Brian and wife, Leah; mother-in-law, Regina Gabello; and sister-in-law, Gina Mansour and husband, Steve; many wonderful nieces, nephews, great-nieces and great-nephews, cousins and friends. The family would like to thank the many family, friends and organizations that supported David during his difficult time. Special thanks to Dr. Linda Thomas and Kari from the Wright Center, the doctors, nurses and staff at Geisinger Community Medical Center Hematology/Oncology, VNA Hospice and the Hospice of the Sacred Heart. A Mass of Christian Burial will be Friday at 11 a.m. at Nativity of Our Lord Church located at 633 Orchard St., Scranton. Interment will be private at the convenience of the family. Friends and family may call on Thursday from 4 to 7 p.m. at August J. Haas Funeral Home, 202-204 Pittston Ave., Scranton. In lieu of flowers, donations can be made to VNA Hospice, Hospice of the Sacred Heart or Nativity of Our Lord Church. 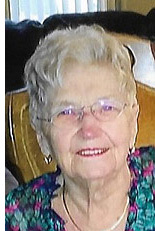 Arlene F. Kohl, 88, a South Scranton resident, died Friday at home after being stricken ill. Born in Scranton, she was the daughter of the late Fred C. and Freda L. Dauberthauser Kohl. She was a graduate of St. Mary's High School and Marywood College. She was employed as a Technical Librarian at Weston Controls for 25 years. She was a member of St. Mary Of Mount Carmel Church, Dunmore and she was a member of St. Mary Of The Assumption Church until its closure. She volunteered at the Scranton Public Library and she drove many friends to doctor appointments and grocery stores. Surviving are numerous cousins. She was also preceded in death by her beloved brother Robert R. Kohl in 2009. The funeral will be Wednesday at 9 AM from the August J. Haas Funeral Home, Inc., 202 Pittston Ave., with Mass Of Christian Burial at 9:30 AM in St. Mary Of Mount Carmel Church, Dunmore. Interment St. Catherine's Cemetery, Moscow. Friends may call Tuesday from 3 to 6 PM. In lieu of flowers, memorial contributions may be made to Sisters Of Christian Charity, Mallinckrodt Convent, 350 Bernardsville Rd., Mendham, NJ 07945. 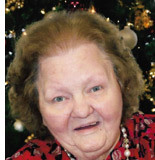 Leona Syslo Doria a resident of Scranton, died at Linwood Nursing and Rehabilitation Center, on Friday evening, April 20, due to a long battle with cancer. She was 85. She was the widow of Joseph Doria who died in 1994. Mrs. Doria was born on April 11, 1933, in Scranton, PA to her parents Peter and Josephine Zielinski Syslo. 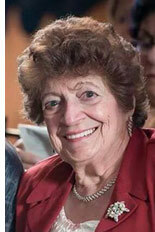 She graduated from Scranton Technical School in 1951 and Northeast Institute of Education in 1984. 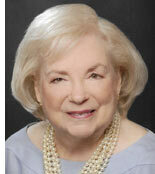 She retired from the University of Scranton in 2010 when she dedicated her remaining time to her friends and family. She was immersed in the Catholic faith as an active member of St. Francis of Assisi Church until its closure and presently was a member of St. Paul Of The Cross Parish. Leona was blessed with six children, Joseph Houlihan, Jr., Daniel Houlihan, Russell Houlihan, Anne Reiner, Thomas Houlihan and Kevin Houlihan. She also had four stepchildren, three grandchildren, and two great-grandchildren. Mrs. Doria was preceded in death by her brothers and sisters, Walter Syslo, Eugene Syslo, Edna Mae Galka, Marion Syslo, and Robert Syslo. The funeral will be Wednesday at 9:30 AM from The August J. Haas Funeral Home, Inc., 202 Pittston Ave., with Mass Of Christian Burial at 10 AM in Sacred Hearts Of Jesus And Mary Church, St. Paul Of The Cross Parish, to be celebrated by Rev. Scott Sterowski, Pastor. Interment Italian-American Cemetery, Minooka Section. Friends may call Tuesday from 5 to 7 PM. 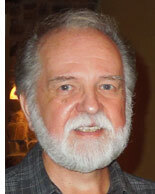 Donato D. Doria, 71, a resident of Houston, TX, formerly of Scranton, died Friday, March 23, in Houston Hospice. Born in Scranton, he was the son of the late Santo and Lillian Pamelia Doria. He was a graduate of Fairfield Prep and Fairfield University, Fairfield, CT. He also studied at Lawrence and Memorial Hospital, New London, CT., where he received his certification as a respiratory therapist. He was employed for many years by M.D. Anderson as a respiratory therapist in Houston. Surviving are a sister, Pauline Bellantoni and husband James, Norwalk, CT., and three nieces; Linda Bellantoni, Barbara Sumner, and Debra Lynch, and a nephew James Bellantoni, Jr.(Patricio) and two great nieces; Jenna Bellantoni an Stephanie Lynch, and five great nephews; Ethan, Adam, and Owen Sumner and Matthew and Jason Lynch, and many cousins. A Blessing Service and Committal will be conducted Saturday at 9:30 AM by Rev. Scott Sterowski in the Chapel in Italian-American Cemetery, Minooka Section. In lieu of flowers, memorial contributions may be made to Houston Hospice, 1905 Holcombe Blvd., Houston, TX. 77030. Albert W. Sakovich, 93, of Willowbrook Assisted Living, formerly of South Scranton, died Wednesday evening in Geisinger CMC after being stricken ill at home. His wife of over 64 years is the former Florence Lenherr. Born in Scranton, he was the son of the late Bronislaw and Antoinette Lukasevich Sakovich. He was a member of St. John Neumann Parish and was a member of St. Mary Of The Assumption Church until its closure. He was a graduate of Scranton Central High School where he was a member of an undefeated football team. He was a graduate of East Stroudsburg College and received his master's degree with many extra credits. He was employed for 30 years by the Scranton School district as a teacher and coach. He coached Scranton Technical High School's football team, class of 1965, in an undefeated season. 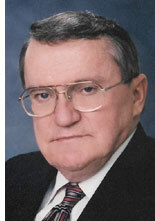 He was inducted in 2006 into PIAA Northeast Chapter Sports Hall Of Fame for a lifetime of service. He was a Navy veteran of WWll, serving aboard the USS Wasp, CV-18. He was very active in the ship's reunions and he kept in touch with his shipmates. He was a member of the American Legion and the VFW. 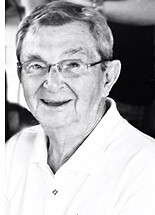 Al was an avid fisherman and golfer and he and his wife enjoyed traveling, visiting 49 of the 50 states. He was a very generous man, very active in the lives of his grandchildren. He lived The Golden Rule. He was a loving husband, father, and grandfather who will be deeply missed. The family wishes to thank the staff of Willowbrook for the care and compassion given to Al. Also surviving are two daughters; Joanne McCobb and husband Kieren, Palmer Twp., and Linda Eggleston, S. Abington Twp., three grandchildren; Richard Joseph McCobb, and John Albert Eggleston and Julie Ann Eggleston, nieces and nephews. He was also preceded in death by two brothers; Joseph and Stanley Kisal. The funeral will be Tuesday at 9 AM from the August J. Haas Funeral Home, Inc., 202 Pittston Ave., with Mass of Christian Burial at 9:30 AM in Holy Name Of Jesus Church, 1414 E. Elm St., to be celebrated by Rev. Michael Bryant, Pastor. Interment St. Mary Of The Assumption Cemetery, South Scranton. Friends may call Monday from 4 to 7 PM. In lieu of flowers, memorial contributions may be made to the donor's favorite charity. Full Military Honors will be provided by AMVETS. Anthony (Tony) Monopoli, 87, a resident of the Gino Merli Veteran's Center, formerly of South Scranton, died Saturday night in Hospice Of The Sacred Heart, Dunmore. He was the husband of the late Patricia Hughes Monopoli and the couple were married for 55 years at the time of her death in 2010. Born in Scranton, he was the son of the late Antonio and Anna Filamino Monopoli. He was formerly employed by Sikorsky-Lockheed Martin. He was a Marine Corps veteran of the Korean War. He was a member of St. Francis Of Assisi Church until its closure. Tony lived a rich and full life, sacrificed for his family and was a loving husband, father, grandfather and great grandfather who will be deeply missed. The family wishes to thank Hospice Of The Sacred Heart for all the care and compassion given to Tony. Surviving are three sons; John Monopoli and wife Felice Elefant, Voorhees, NJ., Mark Monopoli, Scranton, and Anthony Monopoli and wife Deborah Odell, Hazelton, a daughter Nancy Minicozzi, Scranton, four grandchildren; Toni Marie Minicozzi, Max, Julian and Madeline Monopoli, and a great grandson Evan Thomas Minicozzi, two brothers; Frank Monopoli, West VA., and Emanuel Monopoli and wife Mary, FL., and nieces and nephews. He was also preceded in death by a son Joseph Monopoli and three sisters; Anna Booth, Mary Merkel and Margaret Longo, and four brothers; Vito, Salvatore, Santi and Daniel. The funeral will be private and held at the convenience of the family. Memorial Contributions may be made to Gino Merli Veteran's Center, 401 Penn Ave., Scranton, 18503. 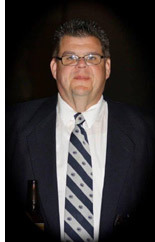 Gerald "Jerry" J. Tschopp, 48, passed away March 1, 2018, in Lady Lake, Fl., after an illness. Born in Scranton, he was the son of James and Joanne Bauman Tschopp of Lady Lake, FL. He resided for 30 years in Clay, NY before relocating to Manhattan, NY. He was a graduate of Cicero-North Syracuse High School, Cicero, NY. Prior to his illness, he was employed as a computer hardware/software sales manager for a New York corporation. In New York he spent his free time assisting patients at a local hospital. He enjoyed traveling the world, and sharing the tales with friends and family. He was a loving son, brother and uncle who will be deeply missed. In addition to his parents, Jerry is survived by a brother, Joseph Tschopp and wife Marcia, a niece and two nephews, Liverpool, NY. The funeral will be Saturday at 10:30 AM from the August J. Haas Funeral Home, Inc., 202 Pittston Ave. with Mass Of Christian Burial at 11 AM in Sacred Hearts Of Jesus And Mary Church, St. Paul Of The Cross Parish, 1217 Prospect Ave. to be celebrated by Rev. Scott Sterowski, Pastor. Inurnment Parish Cemetery. Friends may call Friday , March 23, from 4 to 7 PM at the funeral home. In lieu of flowers, memorial contributions may be made to St. Joseph's Center, 2010 Adams Ave., Scranton, Pa. 18509. Ryan Daniel Clarkson, 20, a South Scranton Resident, died Saturday tragically and unexpectedly in Peckville. Born in Scranton, he was the son of Kimberly Smith and companion Don Brennan, Scranton, and Daniel Clarkson and fiancee Sandra Stepkovitch, Peckville. He was a graduate of West Scranton High School, Class of 2015, where he was a member of the National Honor Society. He was an Eagle Scout, Troop 42, and was a camp counselor at Goose Pond. In 2017, he was employed as a Public Safety Aid for the Ocean City Police Dept., MD, and currently he attended The University Of Scranton where he also was employed by campus security. He was a member of the Criminal Justice Club at the University. He had hopes of joining the Pa. State Police one day. He and his dad shared a love for cars, especially Volkswagons. Ryan was a loving son, brother, and grandson who will be deeply missed by his loving but devastated family. He was our shining star. Surviving are three brothers; Ian, Cole and Dominick, at home, maternal grandparents Cheryl and Steven Petroski, Scranton, and paternal grandparents Judy and Larry Clarkson, Dunmore, and aunts, uncles and cousins. Friends may call Thursday from 3 to 7 PM in the August J. Haas Funeral Home, Inc., 202 Pittston Ave. Scranton. In lieu of flowers, memorial contributions may be made to the Boy Scouts Of America, at Scouting.org. Peter W. Esgro, 57, a resident of Hampton, VA., formerly of South Scranton, died Monday, March 5, 2018, of cancer and pulmonary complications. He was the husband of Kathy L. Esgro. Born in Scranton, he was the son of the late Joseph and Helen Lanning Esgro. He attended Scranton Technical High School. He was employed for many years in the Pool and Spa Industry and also as a Charter Captain. He had a love for Fishing, hunting, cooking and restoring classic cars. He was preceded in death by his sister Donna Huges and a brother Joseph Esgro. Also surviving are a sister Chrissy Esgro, a son Peter Joseph Esgro and his wife Stephanie, a stepson Anthony Durso and his wife Shelia, granddaughters Mariah and Melodie Esgro, Step grandchildren Cody, Calob, Conner Durso, Brycen Teller and Daelyn Statler, several cousins, nieces, nephews, and a loving godson Justin Koscianski. A Blessing service will be conducted Monday at 11 AM in the August J. Haas Funeral Home, Inc., 202 Pittston Ave. by Rev Scott Sterowski. Internment Cathedral Cemetery. Friends may call Monday morning at the funeral home from 9 to 11 AM. Tight lines Captain Pete. Sandra Lubrani Ferrario, a resident of Tyler Hill, formerly of South Scranton, died March 3 in Wayne Memorial Hospital, Honesdale, after being stricken ill at home. She was the widow of Charles Ferrario who died in 1998. Born in Scranton, she was the daughter of the late Joseph and Assunta Stefani Lubrani. She was a graduate of Scranton Technical High School and during her career she was employed as an Administrative Assistant for various local flooring companies. Surviving is her daughter Cristina Bollinger and husband Bill, Tyler Hill, and a sister Gloria Perugini, Swoyersville. She was also preceded in death by her brothers; Joseph Lubrani and John Sabatini. A Blessing Service will be conducted Friday at 11 AM in the Chapel in Italian-American Cemetery, Minooka Section, with Rev. Scott Sterowski officiating. Due to the deep snow in the cemetery, please wear appropriate footwear. In lieu of flowers, memorial contributions made be made to Muscular Dystrophy Association, 2132 South 12th Street, Suite 101, Allentown, Pa. 18103, or to Dessin Animal Shelter, 138 Miller Dr., Honesdale, Pa. 18431. Paris Anthony Baldacci, of South Scranton, passed away peacefully in his home on March 2, 2018, at the age of 97, with his family by his side. Paris is survived by his beloved daughter and caretaker, Donna Baldacci, Scranton; sons, Anthony Baldacci and wife, Lisa, Scranton; Paris Baldacci and life partner, Andrew Dolkart, New York; and Thomas Baldacci and family, Peckville; granddaughters, Alyssa Lydon and husband, Gerry, Throop; Carina Baldacci and husband, Gage Hermanson, Moosic; and Jillian Baldacci, Philadelphia; and great-grandchildren, Luca and Kai Hermanson and Mackenzie and Madison Lydon. Paris is preceded in death by his parents, Stella and Joseph Baldacci; brothers, Albert and Fred Baldacci; and his beloved wife and soul mate, Rose Mineo Baldacci. Paris was born on April 20, 1920 in Scranton, PA, to parents, Joseph and Stella Baldacci. Paris married the love of his life, Rose Mineo Baldacci on June 21, 1941, who sorrowfully passed away from breast cancer on May 15, 1975, at the young age of 53. Paris served in the Navy from January 20, 1944-January 8, 1946 during WWII. He spent his career driving coal trucks and working as a pants presser for Nino Sportswear and Brooks Brothers Suit Co. in the Scranton area as well as raising his four children and caring for his mother, Stella, who lived a full life, passing away on July 21, 1999, at the age of 101. Paris was a loving husband, fulfilling father, dedicated grandfather, and heart-warming great-grandfather who devoted his life to putting others before himself. Paris could be found at all of his granddaughters' athletic and dance events that took place around Scranton as well as the local Honda Dealership where he would go for his free weekly car washes. Paris was always involved in his family's life. Whether it was running errands, picking his granddaughters up from the bus stop; frequently beeping his horn with the intent to embarrass them, or visiting his daughter, Donna, at the floral shop just to check in on her at work, Paris never missed a beat. He benevolently established the role of "Poppy" with all that he had and never took a moment of life for granted. He often referred to the amazing memories that he shared with his adored wife and frequently took his family to visit her grave to maintain the flowers he would regularly plant there for her. Paris' family would like to send their utmost appreciation to all of those who knew and were a part of Paris' life. They especially extend their sincerest gratitude to Paris' home health aide, Trisha Irving, who has played a tremendous role in assisting Paris' daughter in caring for him so that he could remain living comfortably in his home. He will forever be missed by those that are still here on Earth, but can now dance with his beloved wife in the halls of heaven; a long-overdue event that he has been patiently awaiting to attend. Bernice Murray, 93, a resident of Scranton, died Friday afternoon, after being stricken ill, in Hospice Of The Sacred Heart, surrounded by her loving family. She was the widow of Michael T. Murray, Sr., who died in 2008. Born in Scranton, she was the daughter of the late John R. and Loretta Walsh Williams. She was a member of Nativity Of Our Lord Church, St. John Neumann Parish, and she was a graduate of Dunmore High School. Prior to her marriage, she was a resident of Dunmore. 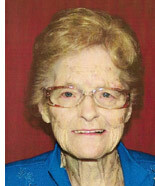 She was a member of The Theresians and St. Joseph's Auxiliary. The family wishes to thank the staff of Geisinger CMC 4th floor and Hospice Of The Sacred Heart for the care and compassion given to Bernice. Surviving are two sons; Michael T. Murray, Jr. and wife Nancy, Spring Brook Twp., and James J. Murray and wife Patricia, Springfield. VA., and four daughters; Maureen Biglin and husband Paul, and Mary Lou Lyons and husband Leo, all of Scranton, Barbara Windish and husband Robert, Myrtle Beach, SC, and Eileen Barber and husband Robert, Lake Winola, 14 grandchildren, 15 great grandchildren, nieces and nephews. Also surviving is a sister in law Kieran Williams. She was also preceded in death by three sisters; Ann Biglin, Sr. DeSales Williams and Ruth Lorett Breznikar and two brothers; John R. Williams and Donald Williams. The funeral will be Tuesday at 9:30 AM from the August J. Haas Funeral Home, Inc., 202 Pittston Ave., with Mass Of Christian Burial at 10 AM in Nativity Of Our Lord Church, St. John Neumann Parish, 633 Orchard St., with her Godson, Rev. Donald Williams as principal celebrant and Rev. Michael Bryant, Pastor, as concelebrant. Interment St. Catherine's Cemetery, Moscow. Friends may call Monday from 4 to 7 PM. In lieu of flowers, memorial contributions may be made to Sister Servants IHM Retirement Fund, 2300 Adams Ave. Scranton, 18509 or to St. Joseph's Center, 2010 Adams Ave., Scranton, Pa. 18509. Donna Jeanne Carpenter, 56, a South Scranton resident, died Sunday morning in Hospice Of The Sacred Heart, Dunmore, after an illness. She was the wife of Christopher Carpenter. Born in Scranton, she was the daughter of Robert Moffitt, Sr, Scranton, and the late Mary Novrorsky Moffitt. She was a graduate of Scranton Technical High School and she was formerly employed by Herff Jones. Donna was a loving wife, mother, grandmother and daughter who will be deeply missed. She loved her animals. Also surviving are a son Matthew Gilbride, a daughter Samantha Senecal and a granddaughter Autumn Kula, all of Scranton, and an aunt, Dolores Rowinski, Scranton. She was also preceded in death by her brother, Robert Moffitt, Jr. The funeral will be private and held at the convenience of the family. Memorial contributions may be made to St. Cats and Dogs, 500 Arthur Ave., Scranton, 18510, or to St. Francis Commons, 504 Penn Ave., Scranton, 18509. Lois J. Lyons, 88, a South Scranton resident, died Friday afternoon in Allied Skilled Nursing Center. She was the widow of the late William J. Lyons who died in 1987. Born in Carbondale, she was the daughter of the late John and Matilda Herman Congdon. She was a member of St. John Neumann Parish and was a graduate of Scranton Central High School and attended Lackawanna College. During her career as a secretary, she was employed at local businesses and retired from a Prep School. She was formerly a member of the Nativity Quilting Club. Lois enjoyed helping others through her many church activities. Surviving are a son Michael Lyons, Scranton, a granddaughter Kaylee Lyons, Scranton, and many nieces, nephews and cousins. She was also preceded in death by several brothers and sisters including Donald Schaeffer. A Mass Of Christian Burial will be celebrated Saturday, February 10, at 10 AM in St. John Neumann Parish, Nativity Of Our Lord Church, 633 Orchard St., by Rev. Michael Bryant, Pastor. Inurnment private in Cathedral Cemetery. Friends may call at the church Saturday morning from 9 to 10 AM. 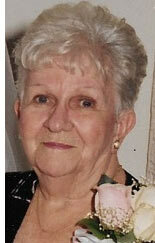 Verna M. Trapper, 90, a South Scranton resident, died unexpectedly Thursday, February 1, at home. She was the widow of Robert J. Trapper who died in 1993, and at the time of his death, the couple were married for 43 years. Born in Scranton, she was the daughter of the late Joseph and Mary Mayernick Lesniak. She was a member of St. Paul Of The Cross Parish and was a graduate of Scranton Central High School. Before her retirement at age 80, she worked for Weis Markets/ IGA. For many years she was a volunteer for Meals On Wheels, well into her 80's, and drove her friends to places they needed to be. Giving up her license this year was a difficult adventure. She was a devoted mother, grandmother and great grandmother and friend. Verna valued family time and enjoyed cooking for all; especially the family's Christmas cookies. She was involved in many clubs; Sacred Heart, ICC, bingos and loved polka dancing. Verna could never pass up a bargain or helping a friend. She always put everyone else first and herself last. Surviving are three daughters; Marilyn Orlando and husband Patrick, Robbie Bonavoglia and husband Jim, all of Scranton, Ann Tasselmeyer and husband Alex, Cresco and a son Bob Trapper and wife Pattie, Scranton, seven grandchildren, many great grandchildren and many nieces and nephews. She was also preceded in death by a sister Anna Mae Sinkevich and a brother John Lesniak. The funeral will be Saturday at 9:30 AM from the August J. Haas Funeral Home, Inc., 202 Pittston Ave., with Mass Of Christian Burial at 10 AM in Sacred Hearts Of Jesus And Mary Church, St. Paul Of The Cross Parish, 1217 Prospect Ave., to be celebrated by Rev. Richard Rojas. Interment Cathedral Cemetery. Friends may call Today from 4 to 8 PM. 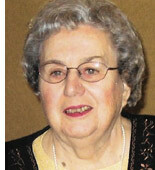 Violet A. Ceccacci, 95, a South Scranton resident, died Tuesday at Geisinger Mountain View Care Center. She was the widow of the late Ernest J. Ceccacci and the couple were married for 62 years. Born in Davis, West Virginia, she was the daughter of the late Mario and Louise Cremense Buscarini. She was a graduate of Scranton Technical High School and was a member of St. Paul Of The Cross Parish. She formerly was a member of St. Francis Of Assisi Parish until its closure. Violet was a wonderful homemaker. She was a loving wife, mother, grandmother and sister who will be deeply missed. The family would like to thank the staff of Life Geisinger and the drivers, especially Rob and Jack, and the wonderful staff of Geisinger Mountain View Care Center, Camelot Section, for the care and comfort given to Violet. Surviving are a son, Vincent Ceccacci and wife Theresa, Las Vegas, a daughter, Louise Ceccacci with whom she resided, two grandchildren; Nicole Crawford and husband Roy, Las Vegas, and Atty. Vincent Ceccacci and partner Brian Hawkins, Dallas, TX, nieces, nephews and her furry grandchildren Chester, Emma, Baker, Piper, and Seamus. She was also preceded in death by two brothers Ozzie and Fred Buscarini, and four sisters; Yolanda Bucari, Madeline Golden, Lena Arnoni and Norma Pendell. The funeral will be Saturday at 9:30 AM from the August J. Haas Funeral Home, Inc., 202 Pittston Ave., with Mass Of Christian Burial at 10 AM in Sacred Hearts Of Jesus and Mary Church, St. Paul Of The Cross Parish, 1217 Prospect Ave. to be celebrated by Rev. Scott Sterowski, Pastor. Interment Italian-American Cemetery, Minooka Section. Friends may call Friday from 4 to 7 pm. In lieu of flowers, memorial contributions in Violet's name may be made to the donor's favorite charity. Donny Brier, 67, a Dunmore resident, died Wednesday morning at home after being stricken ill. His wife of 27 years is the former Theresa Seachock. Born in Scranton, he was the son of the late Edward J. and Theresa Lucchi Brier. He was a graduate of Scranton Central High School and attended the University Of Scranton. He was employed by ADC, Inc. Donny was an avid drag racing fan. He deeply loved his grandchildren. Donny will be deeply missed by his family and many friends. Also surviving are a daughter, Leanne Supinski and husband Paul, Laflin, four grandchildren; Rachael, Jake, Sarah and John, his "favorite" sister, Judie Brier, Scranton, and nieces and nephews. A Mass Of Christian Burial will be celebrated Monday at 10 AM in Immaculate Conception Church, 801 Taylor Ave. Friends may call at the church Monday morning from 9 to 10 AM. Interment, private at the convenience of the family. In lieu of flowers, memorial contributions may be made to NE Pet Fund and Rescue, PO Box 3953, Scranton, Pa. 18505. 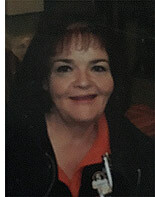 Rose A. Bauer, 58, a resident of the Minooka Section of Scranton, died Monday, January 1, 2018, at home after being stricken ill. Born in Scranton, she was the daughter of the late Charles and Mary Fahey Bauer. She was a member of St. Joseph's Parish and was a graduate of Bishop Klonowski High School. She was employed by Home Depot. Rose loved her Irish Heritage, dogs, especially pitbulls, and lighthouses. She will be greatly missed by her friends and family. The family would like to thank Home Depot for helping with the arrangements. Surviving are a brother Charles Bauer and wife Denise, Douglas, AZ., nieces and nephews, a great niece, a great nephew, and her faithful dog, Shamrock. She was also preceded in death by two sisters; Mary Ann Purnell and Debbie Greeley, and her longtime companion, Lori Wojewodski. A Mass of Christian Burial will be celebrated Saturday, January 13, at 11 AM in St. Joseph's Church. Interment, Parish Cemetery, Minooka. Friends may call Saturday morning from 10 AM to Mass Time at the Church. In lieu of flowers, memorial contributions may be made to Griffin Pond Animal Shelter, 967 Griffin Pond Road, S. Abington Twp., Pa. 18411. Paul G. Poplawski, 64, a resident of Moosic, died Tuesday at Riverside Rehabilitation and Nursing Center after a courageous battle with cancer. Born in Taylor, he was the son of the late Stanley and Stella Zaremba Poplawski. He was a graduate of South Scranton Catholic High School. He formerly was the owner of Interiors, Inc. He was formerly employed by Matthews Paint Store, Kurlancheek's, and Penn Furniture. 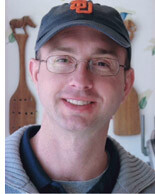 Paul moved to Philadelphia for two years then returned to work for Penn Furniture as an Interior Decorator. Surviving are a sister Carol Kosciuk, Moosic, a sister-in-law, Barbara Poplawski, Moosic, nieces and nephews including Sandra Poplawski, Ronald G. Poplawski, Matthew Poplawski and Raymond Joseph Kosciuk, two aunts; Dolores Barcoski and Gertrude Malaway and cousins, and seven great nieces and great nephews. He was also preceded in death by a brother Ronald Poplawski. Per Paul's request interment will be private and held at the convenience of the family.